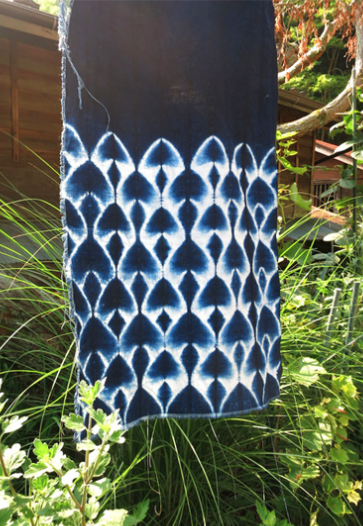 Learn Shibori and indigo dyeing with this Ace Camps Workshop in Fujino, Japan November 17 - 28, 2019. Click here to learn more! Located in the beautiful mountain village of Fujino, just outside of Tokyo, this 12 day Ace Camp is a master class introduction to Japanese textiles with a focus on indigo dyeing using shibori techniques and katazome stenciling. This workshop is perfect for designers, crafters and anyone who enjoys or wants to learn about stitching and dyeing. For those individuals considering setting up an indigo vat at home, this is an excellent opportunity to learn to make and maintain a “non-fermented” indigo vat. The material covered in the workshop is also a hands-on introduction into Japanese culture in general. The ideas and technical approaches to textile work share the same ethics and standards as Japanese artistic disciplines. 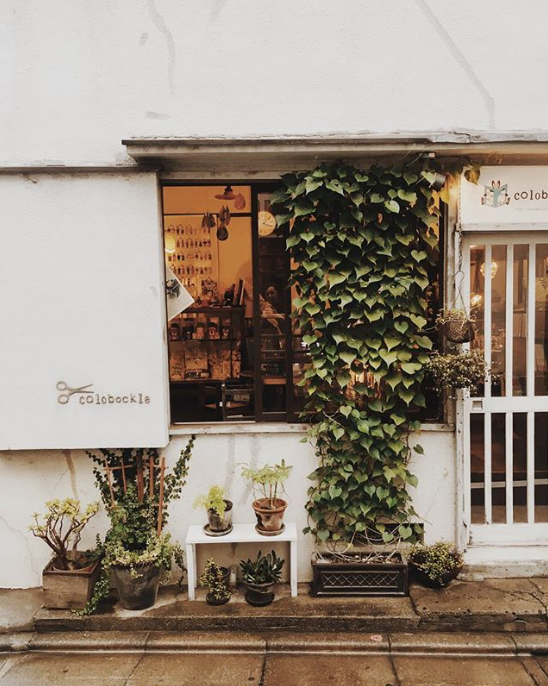 For inspiration we'll head to Folkcraft Museum in Tokyo, this is the place to get back to the source of where everything Japanese derives. Understanding the origins of Japanese crafts, feeling and absorbing the subtle seasonal nuances will give you further insight into all things Japanese. Japanese Textiles are fascinating in their precise structures, complex techniques and aesthetic sophistication. At the farmhouse you will have access to hundreds of textile-related books and examples of traditional Japanese textiles. Join us on this unmissable adventure. *Rooms are shared with one other person. Unfortunately, there is no opportunity for single rooms. The first night is hotel accommodation in Tokyo and the remaining 10 nights are simple farmhouse accommodation in Fujino, Japan. This Ace Camp is limited to 9 people. Pricing and itinerary may change for 2020. We're sorry our 2019 indigo trips to Japan have sold out. Interested in joining us in Japan in the future? If you would like to be the first to know please add your email address to our early notification list by clicking the button below. Originally from the West Coast of Canada, Bryan has been living in Japan for 27 years, farming and processing indigo for over 20 years, and rearing silkworms for 18 years. He runs a small textile school at his 150-year-old farmhouse that focuses on indigo dyeing, natural dyes, shibori, stencil dyeing ( katazome), thread making from silk cocoons, and weaving on traditional Japanese looms. 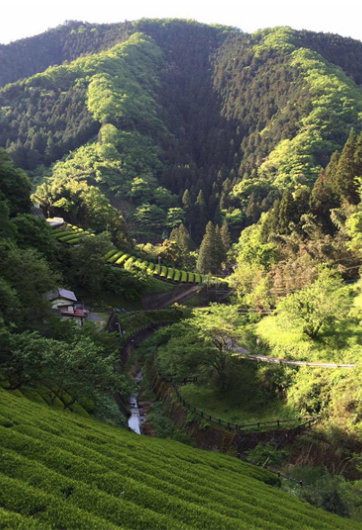 The farmhouse is situated in a serene tea-growing mountain village just outside of Tokyo. Shibori Techniques – There are an infinite number of ways one can bind, stitch, fold, twist, or compress cloth for shibori, and each way results in very different patterns. Each method is used to achie0ve a certain result, but each method is also used to work in harmony with the type of cloth used. Therefore, the technique used in shibori depends not only on the desired pattern, but the characteristics of the cloth being dyed. Also, different techniques can be used in conjunction with one another to achieve even more elaborate results. Fujino in Japan’s northwestern Kanagawa Prefecture is a peaceful place with a population of about 10,000 people. The village was designated as one of ‘ The Most Scenic Mountain Villages in Japan’. Located in a valley and surrounded by abundant nature with mountains and lakes, it is only one hour away from central Tokyo. Fujino is an incubator for sustainable living, and artistic creativity known as an artists’ haven, promoting and displaying art works around town. From the front of the Farmhouse you can see well-tended tea terraces ascending impossibly upward. The guest rooms on the third floor were completed four years ago. The rooms are comfortable and cozy. There are three shared bathrooms on the first floor with a shower and a traditional Japanese wood bath in the garden. There is WiFi at the farmhouse. There are healthy snacks, drinks and fruit in the kitchen at all times. Please note there may be friendly cats and dogs on site (in case of allergies) and this property is non-smoking. A glimpse inside the 150 year old farmhouse where we will spend 10 days. Each guest will be mailed a homework box filled with fabric and supplies about 8-10 weeks before the workshop. This homework will need to be completed prior to you arrival in Japan. The homework time commitment will be 50+ hours of hand stitching work and katazome stencil cutting. Full instructions will be provided, and the work is simple enough for a beginner. We will always be on hand to answer any questions you may have. The stitching work is an important part of your journey through the process of learning about shibori techniques. The stairs in the farmhouse are quite steep, with the bedrooms on the third floor. Additionally, there is a short, but steep ladder climb required to access the river where we wash our dyed pieces of fabric. Unfortunately we are unable to handle specific dietary requirements, allergies or intolerances on this trip as almost all our meals will be served family style. Japan is not always an easy place to travel for vegans, vegetarians or those with restricted diets such as gluten-free. Many foods in Japan that appear to be vegetable based may be prepared with dashi (stock), which contains traces of dried fish and soy sauce. Gluten, fish + soy sauce in particular are staples in Japanese cuisine. ACE CAMPS will email you when it is time to make your travel arrangements. This email will always be sent 90 days or more before your trip departs, unless you book within 90 days of the camp. If this Ace Camp fills prior to 90 days we will let you know right away so you can plan. Transportation to central Tokyo can be made from either Haneda Airport or Narita Airport via limo bus, train and private shuttle. More detailed travel arrival information will be sent after your registration. Spring is an exciting season in Japan, with sakura (cherry blossoms), new budding leaves and plenty of beautiful things to see. In April there are more and more warm days. Average temperatures range from 55°F to 70°F. Daytime temperatures are almost always moderate, but the evenings are often cooler in the hillside towns. PLEASE READ: We prefer to keep the structure each day as organic as possible, the itinerary below is a general overview of the activities we hope to try out while in Fujino. Some activities and schedules might change here and there depending on the group. There are so many different projects to work on and interesting spots to visit, we try to adjust the activities in a way to make them meaningful for everyone. A couple of the activities are weather dependant so we may have to shift things around. If you prefer to travel on tours with a very set-in-stone schedule this may not be the trip for you. We are often working on projects from morning until night. Flexibility and an open mind are requested to fully relax and enjoy this immersive cultural + creative experience. Check-in is available after 3PM to Tokyo Hotel. Today we take the train to the quietness of the mountain village about an hour and a half away. 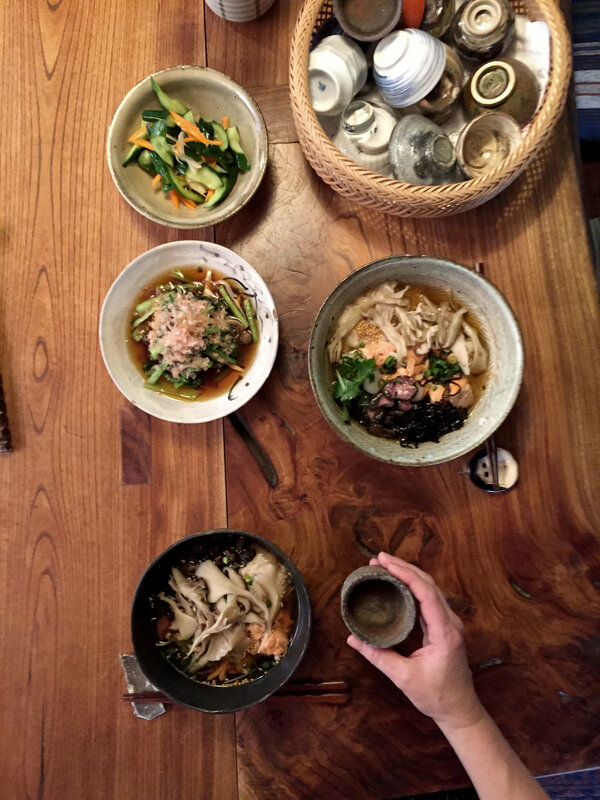 After unpacking you will be welcomed by a typical Japanese lunch. Not wasting any time we dive head first into a talk about indigo and Japanese shape-resist dyeing, shibori. It is a round table discussion and questions and comments are encouraged. We will check the homework and start pulling the stitches to prepare for indigo dyeing. We will also start another folding project in preparation for dyeing tomorrow. There is also a traditional wood bath next to a small stream in the garden, if anyone would like a proper Japanese bath before bed. Breakfast is simply served on the kitchen island. Lots of fruit and yoghurt and cereals, bread. Today the talk will be about Indigo and the vat process. The first step will be to set up an indigo vat and get a clear idea of the variety of processes involved. We will dye Japanese tenugui towels and cotton thread to familiarize you with the dyeing properties of indigo. 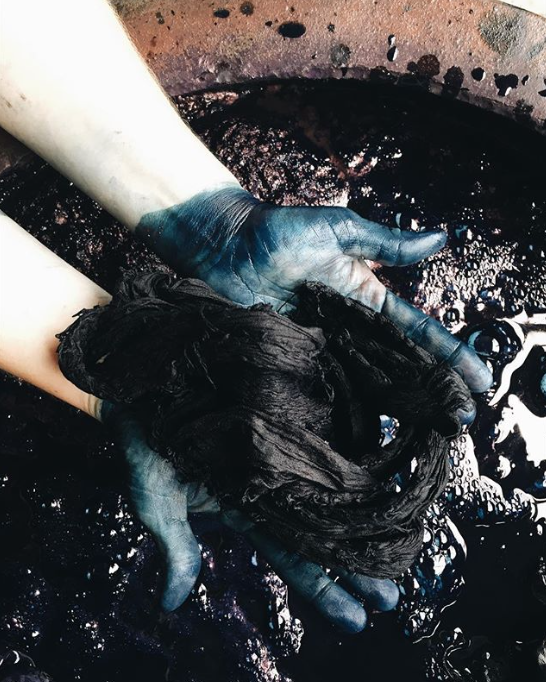 By the end of ten days you will have a clear understanding of how indigo works with the various additives, different kinds of dye vats and the reaction of indigo with different kinds of fabric. Today, you will continue working on the binding of your homework to prepare it for dyeing. The after-breakfast talk will be about the local silk producing history and silk in general. If time permits we will have a silk thread making (both spun and reeled) demonstration. We will continue with a discussion about indigo and Japanese shape-resist dyeing, shibori. It is a round table discussion and questions and comments are encouraged. Lunch will be a simple Japanese tofu dish. This afternoon you will have time at the indigo vats to dye scarves and stencil patterns. The morning talk will be on stencil dyeing and a short talk on local history and local food customs. We will spend the day working on indigo projects. If the weather is clear, we will experiment with stencilling to get a better feel for it. In the afternoon you will be introduced to katazome stencil dyeing in preparation for our outing tomorrow. Later in the afternoon we will try to visit a local potter who makes beautiful pieces and is generally inexpensive. The pottery can be boxed and shipped from the local post office if necessary. (**note, this outing may not be available dependant on how much supply the potter has at this time). Today we have a special outing planned to the katazome stencil master who lives about an hour away. You will not only witness the astounding techniques and skills but the values and aesthetics that make Japanese textiles so interesting. We will spend the day at the doyen master's house. We will use the stencils we cut for the homework to make some simple table runners and tenugui scarves. It is a very interesting and fun day. * This activity is weather dependant- we require sun for the paste to dry properly. Today's activities are stencil dyeing and shibori. You are welcome to bring a small amount of your own cloth or garments to dye (within reason). We will learn and practice more advanced stitching details and test out other methods for folding, binding and compressing the material to be dyed. The after-breakfast talk will be on the subject of the Japanese Crafts Movement. From the farmhouse we head into Tokyo by train, where Bryan will lead us on a guided tour of the Japanese Folkcraft Museum. This is the place to get back to the source of where everything Japanese derives. Understanding the origins of Japanese crafts, feeling and absorbing the subtle seasonal nuances will give you further insight into all things Japanese. This afternoon Bryan will take us to some vintage textile stores, a kimono shop and other interesting spots we find along the way. We make our way back to Fujino late afternoon. The morning will be spent on the same activities as Saturday: stencilling, shibori and indigo dyeing. This afternoon we work on a special project that Bryan will detail once in Fujino. The last two days of the workshop are left flexible for you to work on any projects you wish. Most of the students prefer to spend more time at the indigo vat. Bryan will give you individual guidance on your projects. You will have time to cut more sophisticated katazome stencils and try more elaborate shibori techniques. There are several local artisans studios around Fujino. We can make decisions about where to visit together. The farmhouse is surrounded by beautiful mountainside and an ideal hiking location. You may also choose to carve out a path thru the lush hillside one day. If the weather is good, we hope to enjoy one last campfire in the garden. This morning we say Sayōnara! さようなら and take the train back to Shinjuku Station in Tokyo. Nota Bene: this is a prospective itinerary. It is subject to modifications, dependent on local weather, new opportunities and the desires of the group.